John Edwards has finally admitted to having an affair with Reille Hunter beginning in 2006. He blamed it on the inflation of his ego surrounding his run for President. Apparently he felt he could do no wrong. During this same time Edwards' wife, Elizabeth, was diagnosed with an incurable cancer that she discovered while on the campaign trail with her husband. 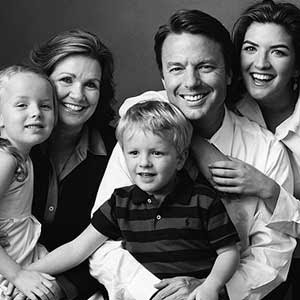 The Edwards family was on Oprah back in the day and we genuinely believed that John Edwards was a stand-up guy. Ummmmm, no. The good ol' Enquirer reporters got on the case after a woman on Edwards' staff came down with a good ol' pregnancy and now the rest is history. Edwards was visiting the mistress and her baby in a hotel when he was confronted by an Enquirer reporter at 3 in the morning. Edwards ran into a restroom in the basement of the hotel and refused to come out. Did we mention it was 3 in the morning? In addition to the $100 plus grand she received to film videos of Edwards on his press tours, the woman has been receiving up to $15,000 per month to keep the affair quiet. Edwards went on Dateline and said that the baby is not his and that he would do a paternity test if the baby mama agreed and you guessed it....baby mama does not want a paternity test. Oh, and he was not aware that she was receiving money. Of course.